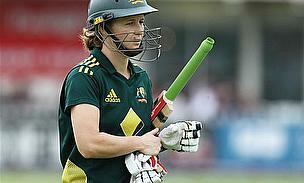 Australia Women ended their series of matches against New Zealand's Women on a winning note at the MCG. In a match played prior to the men's Twenty20 against India at the same venue, Australia's ladies completed a 4-1 success in the same format to go with a 1-0 success in the Rose Bowl One-Day Internationals. New Zealand won a low-scoring fourth Twenty20 International over Australia Women by six wickets to take their first victory of the tour. Kate Broadmore returned figures of three for nine as Australia were restricted to 92 for seven in 18 overs of a weather-interrupted encounter before New Zealand closed on 95 for four. Australia Women retained the Rose Bowl Trophy with a convincing nine-wicket victory over New Zealand Women in the third and final One-Day International at Blacktown International Sportspark. New Zealand were dismissed for 125, failing to recover from being reduced to 39 for four and their target was easily overcame by Australia, who closed on home in just 16.4 overs. The second One-Day International between Australia Women and New Zealand in Sydney was abandoned without a ball being bowled. 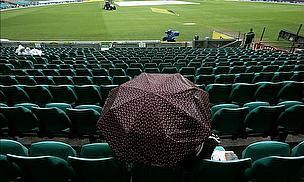 The result follows the first game, which was also abandoned after just 22 overs were possible at the Sydney Cricket Ground. The opening One-Day International between Australia Women and New Zealand Women was abandoned after just 22 overs were possible in Sydney. In that time, New Zealand had reached 100 for two as they set about building a platform before the weather intervened. Australia Women moved into an unassailable 3-0 series lead over New Zealand Women by winning the third Twenty20 International in Sydney by seven runs. Batting first, Australia posted 134 for eight and they then restricted New Zealand to 127 for eight in reply as Lisa Sthalekar returned four for 18. Australia Women's bowlers set up a convincing 59-run win in the second Twenty20 International against New Zealand Women in Sydney. In a low-scoring match, Australia went 2-0 up in the series after scoring 128 for five from their 20 overs and then dismissing New Zealand for just 69 in reply.